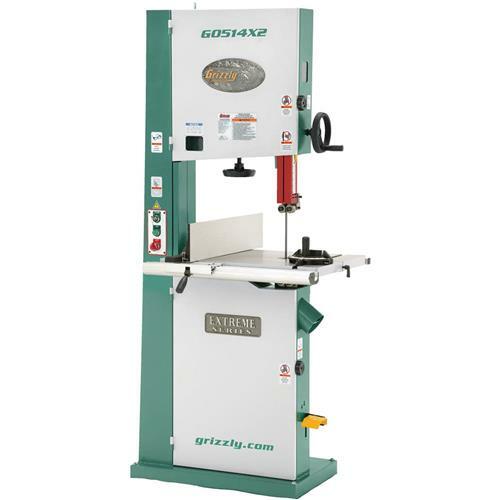 We took our rock-solid G0514X 19" Heavy-duty Extreme Series® Bandsaw, added a few more features and came up with a new line of ultimate 19" Bandsaws. 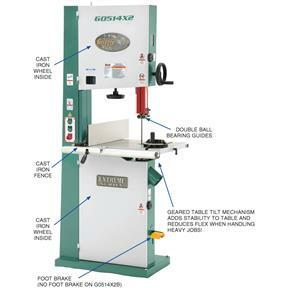 This saw features a mechanical foot brake, a cast-iron table trunnion, rack and pinion table tilt control with extra table support, and an innovative resaw fence. 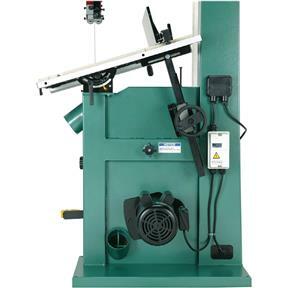 If you're in the market for a 19" bandsaw, why not spend a little more and get one with a brake? Certified to UL & CSA standards! Approximate shipping weight: 480 lbs. Bought this saw 8 years ago and going strong. 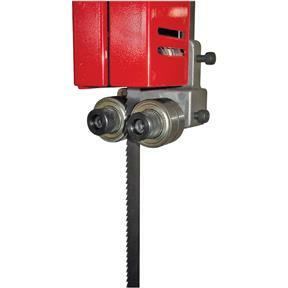 This is a solid unit with virtually no vibration and cuts very smoothly. The dust collection is excellent with the two ports connected. I have replaced the original rubber tires with grizzly urethane replacements and one set of roller blade guides. Not bad for eight years of use. I would not hesitate to recommend this machine. I have had this machine for a few years now and still love it. This thing is a beast. I mostly use it to rough cut large stock and have even used it to mill smaller logs. 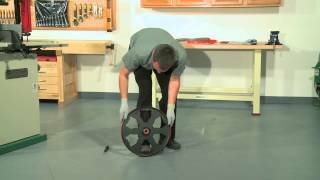 The motor is strong, blade changes are fairly easy with some practice, and the dust collection works very well. My only recommendations would be to purchase an extra set of bearings for the blade guides, and a set of Timber Wolf tires. That being said it did take me almost 2 years of pretty heavy use to wear out the factory parts. The only issue I have had is that this saw will not run a 1" wide blade with out excess vibration. Best I can figure it's because of the wheel width being 1"? Q: What are the pros and cons of ball-bearing blade guides? A:Ball-bearing guides are designed to maintain contact with the moving blade, providing a constant level of support with minimal blade friction. They are extremely durable, maintenance-free, and typically the fastest and easiest to adjust because they can be accurately positioned by eye, rather than requiring a feeler gauge or dollar bill, such as with block or disc-type guides. The downside of ball-bearing guides is their comparatively smaller surface area of support than provided by blocks or discs. However, this is usually only a concern with blades larger than 1/2" wide, unless the saw is equipped with double guide bearings.